I started listening to this pretty casually on audio, thinking it was just another simple romance novel (which I tend to enjoy!). Not so much. Daisy Goodwin tells a tale bigger in scope than most of these sorts of novels, going beyond the typically meet-lust-marry framework. It kept me guessing throughout. Cora Cash is the titular American heiress, heading to Europe to find a husband with a title. Spurned by her American crush, she falls for a duke with his own troubled past and family drama. She marries her duke pretty early on, and the bulk of the novel explores Cora's adjusting to life in the British aristocracy as she decides which traditions are worth keeping and which should be left behind. Cora's maid Bertha travels with her to England, and her own tale of navigating a new racial landscape and her love life serves as a counterpoint to Cora's. Kudos to Goodwin for recognizing the way perceptions of race differed in England and America during this time period (1890's), even if I would have enjoyed a deeper exploration. Plus, the differing expectations of and relationships with servants in the two countries was fascinating. Where this novel really shines is in its lack of predictability, a unique feature in a romance novel. Both of Cora's love interests have serious flaws and neither is the clear winner from the outside. While I can't say I was rooting for either of them, as they both sucked for different reasons, they definitely kept me guessing until the end. Verdict: Affirmed for fans of period drama & Downton Abbey who are interested in the American abroad's perspective. 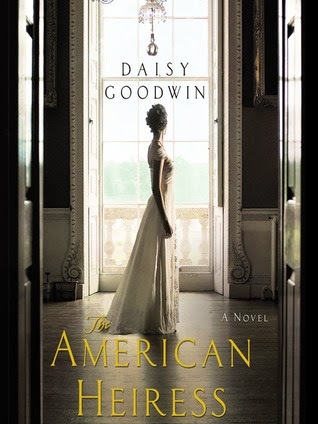 "The American Heiress" by Daisy Goodwin, published on June 21, 2011 by St. Martin's Press. Audio narration by Katherine Kellgren, published on June 21, 2011 by Macmillan Audio.